From Pong to VR, Super Mario to Angry Birds, the video game industry has come a long way in a relatively short period of time. The impressive evolution of both technology and product offerings have attracted a wide range of new consumers, creating a dramatic shift in what should be considered the stereotypical gamer. And as the market for all things video games continues to expand, video game marketers are presented with a tremendous opportunity to capitalize on their sector’s record-level revenues. However, not all gamers share the same enthusiasm for video games, and with so many distinct game genres and product types, interest levels are sure to vary from consumer to consumer. How then can video game marketers effectively target the right prospects with the right offers? AnalyticsIQ has the solution. We are proud to announce GamerIQ, our latest release of audience segments available for digital advertising. 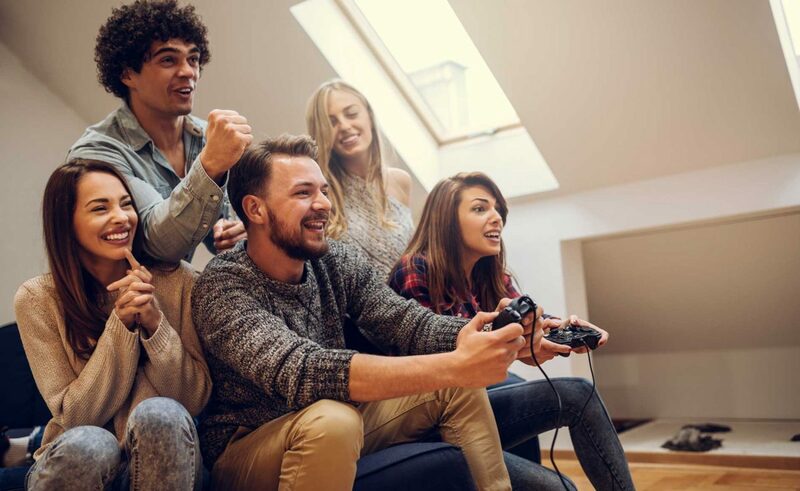 Unlike other gamer segmentation systems that are modeled after and thus only identify existing gamers, GamerIQ segments the entire population into groups based on an industry-standard dedication spectrum providing video game marketers with unprecedented insight to power targeted digital advertising campaigns. Despite common depictions in popular culture, not all video game players are nerdy teenagers glued to a high-tech console or PC. As offerings have improved, expanded, and diversified, the video game industry has attracted many newcomers, extending the standard definition of a ‘video gamer’. According to the Entertainment Software Association, there are an average of 1.7 gamers in every American household, half of those who play are women, and the average age of a gamer is 35. Furthermore, 36% of the ‘most frequent’ gamers play games on their smartphone, which is a very new phenomenon. Clearly, there is no one-size-fits all description of video game players. Because so many individuals are now indulging in video game related entertainment, it should be no surprise that this industry has enjoyed record-breaking revenues in recent years. In fact, consumer spending on the games industry reached an all time high in 2015 – a staggering $23.5 billion! The time is now for video game marketers to take advantage of the surge in video game revenue, but how can they get ‘one-up’ on their competition? GamerIQ is the ‘next-gen’ of gamer segmentation systems. This unique set of audiences was developed based on the responses to a proprietary survey crafted by an on-staff cognitive psychologist. AnalyticsIQ asked survey recipients to rate themselves on a 1-7 Likert Scale (1 = strongly disagree, 7 = strongly agree) in response to several statements on a consumer’s level of interest or non-interest and level of engagement in gaming. By analyzing consumer motivations and leveraging advanced analytical techniques, our experts were able to develop a one of a kind gamer segmentation system with unparalleled accuracy. GamerIQ not only identifies existing video game players, but it also ranks every individual based on interest level. This kind of granularity, coverage, and precision give marketers the knowledge need to enhance the effectiveness of their targeted campaign initiatives. Contact us today and tell your competition, “Game over”.